What is a Rotary Mower? Riding lawn mowers are rotary mowers by design. A rotary mower is a mower that has blades which spin around a central pivot point, or focus. The blades spin at an angle parallel to the ground and cut the grass by the vacuum and speed created by the spinning blade. The rotary mower is one of the most common types of lawn mowers in existence today, used in everything from residential mowers to commercial mowers. Many may get the rotary mower confused with the reel mower, but there are distinct differences. Reel mowers spin perpendicular to the ground, or vertically. The confusion may stem from the fact that people can actually see reel mowers spinning, but not rotary lawn mowers. Another important difference between the two is the way they are powered. 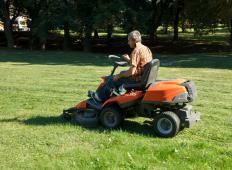 A rotary mower is either powered by a gasoline engine or an electric motor. None are powered manually, as is the case with a reel mower. Whether gas or electric, the blade still spins at the same parallel-to-ground angle for all rotary lawn mowers. Most individuals are familiar with the rotary lawn mower simply because of the fact it is what they are most used to seeing and what they probably own for their own lawn care needs. Most residential rotary lawn mowers are operated by someone walking behind them and either pushing them or otherwise guiding them. Some may be self propelled. In addition to push mowers, riding lawn mowers are also rotary mowers by design. Just like the push mower a riding mower uses the same basic strategy to cut the grass. The only difference is where the operator is located and where the actual cutting assembly is located. Another type of rotary mower are those found in commercial, or large-scale mowing operations. These mowers may be dragged behind a vehicle such as a tractor. In some cases, they may be located underneath the tractor. The rotary mower has created quite a bit of criticism because of its effects on the environment. Some estimates say gasoline-powered mowers are responsible for as much as 10 percent of the total air pollution in industrialized nations. The rotary mower also has the reputation of being very loud and difficult to maneuver, at least in some instances. However, there is a special type of rotary mower that seeks to at least address the maneuverability issue. Instead of using wheels, this special type of rotary mower creates a cushion of air between the bottom of the mower and the ground. 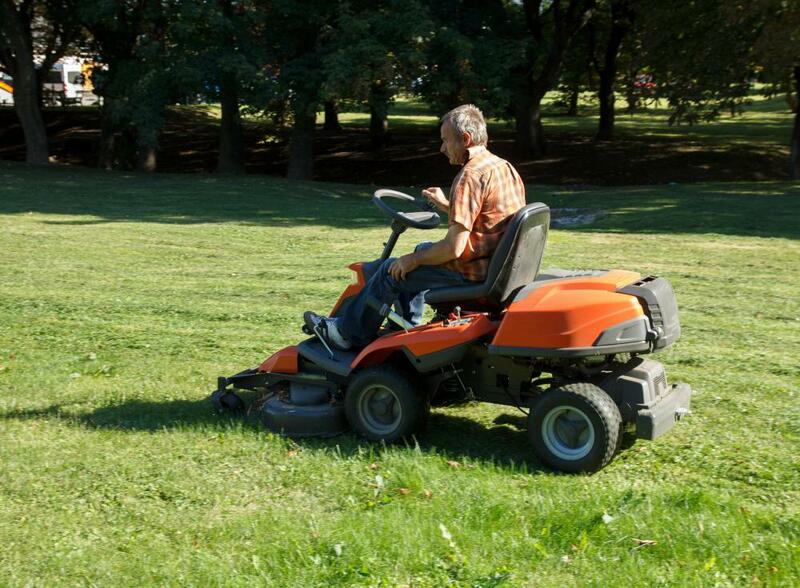 While it may just as loud as a normal mower, it does have the ability to be handled easier. What Is a Brush Hog? What are the Different Types of Cylinder Lawn Mowers? What are the Pros and Cons of a Battery Operated Lawn Mower? What is a Rotary Lawn Mower? What Is a Lawn Mower Clutch? What is a Push Lawn Mower?